To coincide with the celebration of “Stay at home day”, we share five steps to enjoy a perfectly served beer at home, with advice that will make you the perfect host. 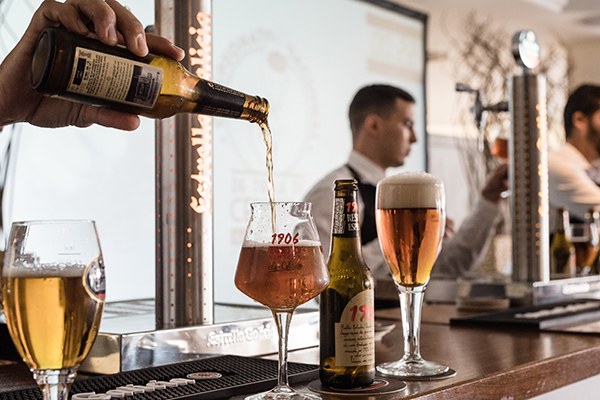 Don’t drink it straight from the bottle, cool but don’t freeze the glass, tilt the glass 45º, and straighten it when it’s three-quarters full are some of the tips from Fernando Iglesias, who is responsible for Beer Culture at Hijos de Rivera. 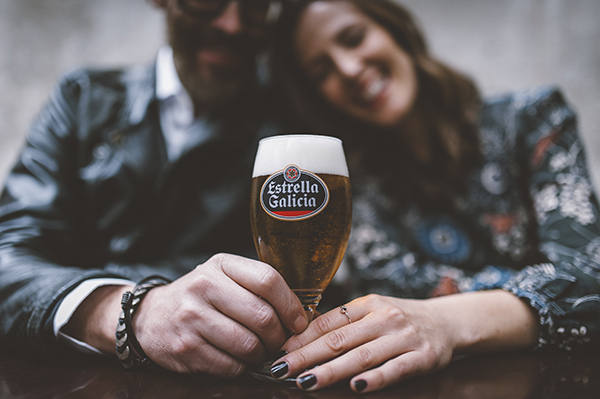 The 30th of November has been chosen as the Día de quedarse en casa (Stay at home Day), an original and alternative festivity, and we want to remind you how to serve a perfect Estrella Galicia or 1906 beer from the comfort of your own home. This date defends those “me“ moments and the possibility of enjoying them at home, in line with many current trends that encourage us to enjoy our homes, such as ‘nesting’, that has an increasing number of followers. A great way to enjoy the Stay at home Day is to do so with a perfectly served beer, be it in your pyjamas or welcoming guests, family or friends. The first step is to have the glass we are going to drink the beer from ready. Drinking it straight from the bottle is not recommended, in order to allow the carbonic gas to be released and create the foam, and be able to appreciate the aromas present in the beer even more. It is recommended that the glass is neither warm nor frozen, as ice will eliminate the carbon in the gas, damage the quality of the foam, and lower the drinking temperature. It is recommendable to rinse the inside of the glass with cold water, making sure it is well drained, just before serving the beer. With the glass tilted at 45º, we bring the bottle close to the rim without touching it. We let the beer slide softly down the inside of the glass with a slow and steady flow. As the glass reaches the three-quarter mark, we slowly move it to a vertical position trying to create the least amount of foam possible. We empty the bottle into the glass, playing with height there is between both. We let the beer hit the liquid already in the glass, as a foam crown is created, which should be around 3 cm. All that is needed now is to put the glass on a coaster and enjoy a perfect beer served at home.